An accurate and reliable internet connected wall clock to synchronize your business operations. Synchronizes with any internal or external NTP server to provide highly accurate time. Can be powered using PoE (Power over Ethernet) or a separate power supply. 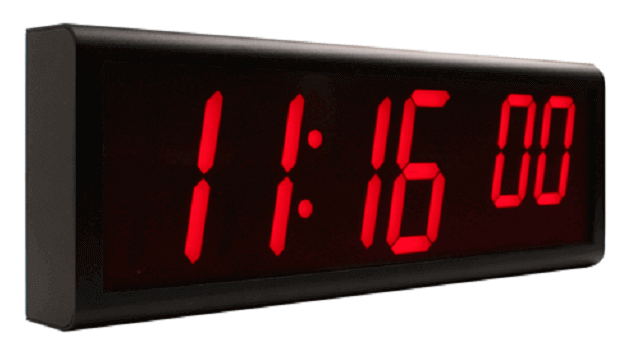 Hundreds of clocks can be supplied with accurate time, simultaneously, from one PC. Supplied by a world-renowned manufacturer of accurate time solutions. The BRG, four-digit internet connected wall clock provides highly accurate time, ensuring your business operations run succinctly and efficiently. 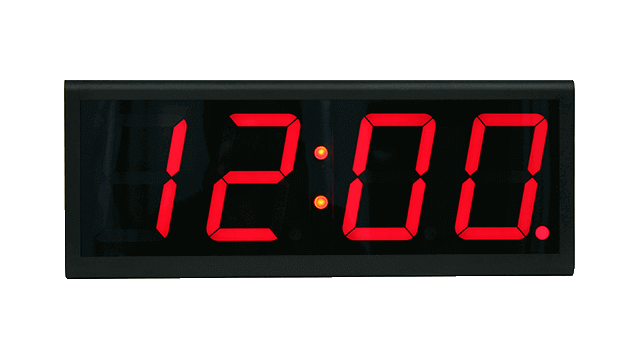 Compatible with any internal or external NTP server, the NTP wall clock can be powered and synchronized through a standard Ethernet cable, meaning you don’t require a standard power supply. Digit heights ranging from 1.8 to 12” make the PoE clock suitable for a wide range of environments, from small offices to large warehouses. It can be placed in a convenient location for you and your business, with the ability to be rack mounted, flush mounted, or ceiling mounted. 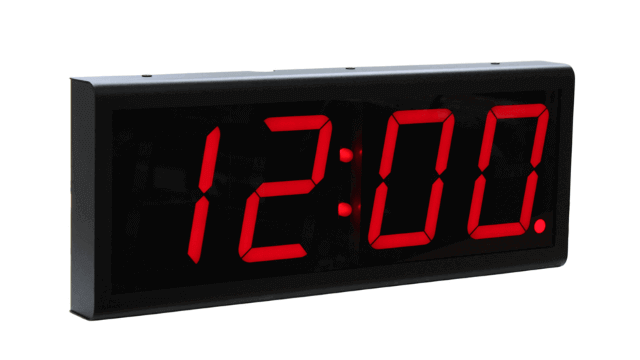 Whatever the location, a sturdy metal frame and glossy protects the clock in harsh environments. 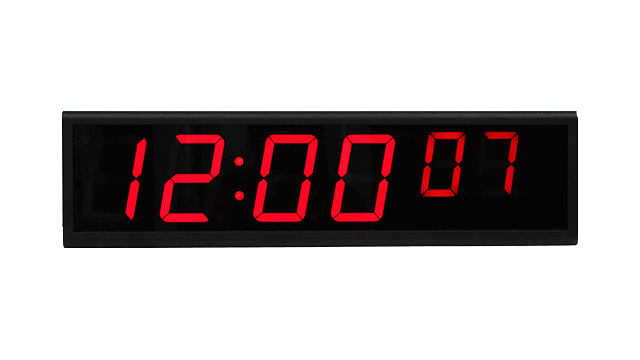 The four-digit, BRG wall clock is cost-effective while providing everything you need to receive accurate time from an NTP server, making it a complete solution. With over 20 years of experience in the supply and manufacture of accurate time products and a client list that includes Vodafone, HSBC, and Buckingham Palace, you can trust Galleon Systems to provide you a reliable time solution. 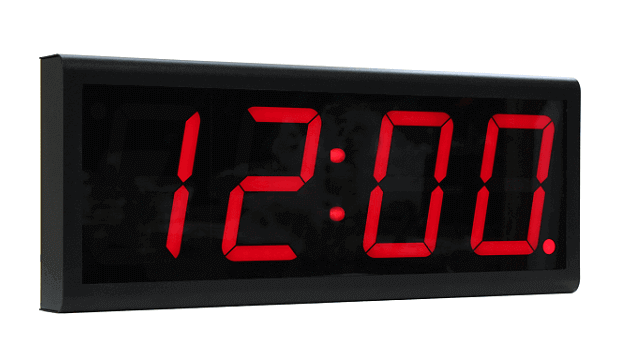 Galleon Systems provides lifetime after sales support and a 1-year warranty with each clock.